MOSCOW (Sputnik) - Saturday marks 14 years since the Beslan school siege, in which Islamic extremists captured more than 1,100 people, most of them children, in the southern Russian Republic of North Ossetia, leading to more than 330 deaths. Over 50 people have payed homage to the victims of the 2004 terror attack on a school in Russia's city of Beslan during a commemoration ceremony in Paris. 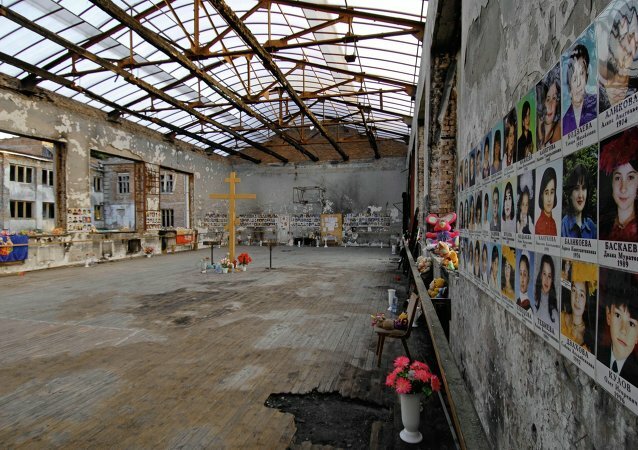 Over 1,500 people have payed homage to the victims of the 2004 school siege in Beslan in the southern Russian republic of North Ossetia, with the commemoration ceremony passing with no incidents, a representative of Russia's Interior Ministry in the republic told Sputnik Friday. Friday marks 13 years since the Beslan school siege, in which Islamic extremists captured more than 1,100 people, most of them children, in the southern Russian republic of North Ossetia, leading to more than 330 deaths. The Kremlin will take the necessary legal steps over the European Court of Human Rights (ECHR) decision binding Russia to pay $3.15 million to the applicants of a case over the handling of the 2004 hostage crisis in the town of Beslan, Kremlin spokesman Dmiry Peskov said Thursday. Thursday marks 12 years since the Beslan school siege, in which Islamic extremists captured more than 1,100 people, most of them children, in the southern Russian republic of North Ossetia, leading to more than 330 deaths. Tuesday marks 11 years since the Beslan school siege, in which Islamic extremists took more than 1,100 hostages, most of them children, in the southern Russian republic of North Ossetia, leading to more than 330 deaths. 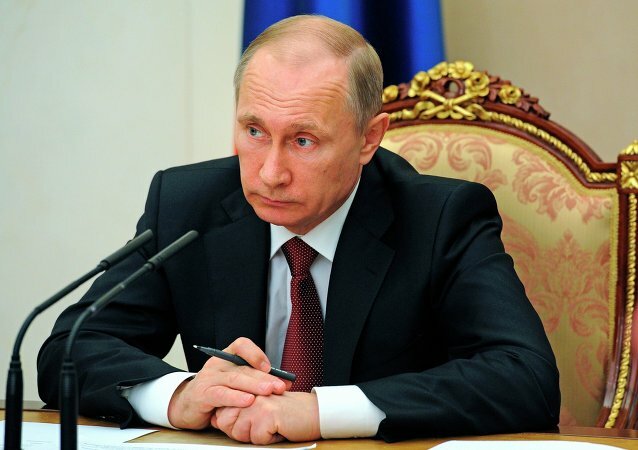 Vladimir Putin has singled out two hostage crises, at a school in Beslan in southern Russia and at a Moscow theater, as the two toughest moments of his presidency. France is interested in stabilizing the situation in Ukraine and the Middle East and stands ready to work together with Russia to this end, Thierry Mariani, a member of the French National Assembly and a member of the French delegation to the OSCE Parliamentary Assembly, said Thursday. Pope Francis has written a letter to the residents of the town of Beslan in North Ossetia who are marking ten years since the Beslan school massacre, Italian media reported Monday. Rossiya Segodnya spoke to Col. Yury Torshin, a retired officer of the FSB SOC Alpha unit. Col. Torshin took part in freeing hostages in School #1 in Beslan and then Nord Ost in Moscow. He was awarded five military orders and three combat medals. Rossiya Segodnya found out why Islamists chose to attack children and what price the Alpha unit officers paid to rescue hostages. The insurgents who 10 years ago on this day, took more than 1,100 school children, their teachers and relatives hostage in a school in Beslan, Russia turned down any negotiations, preferring violence and scare tactics, a special forces officer who was in command of an assault team during the 2004 Beslan hostage crisis told RIA Novosti. The capture of more than 1,100 people, most of them children, by Islamic insurgents in the southern Russian republic of North Ossetia, an incident that led to more than 330 deaths, started on this day 10 years ago, in 2004. 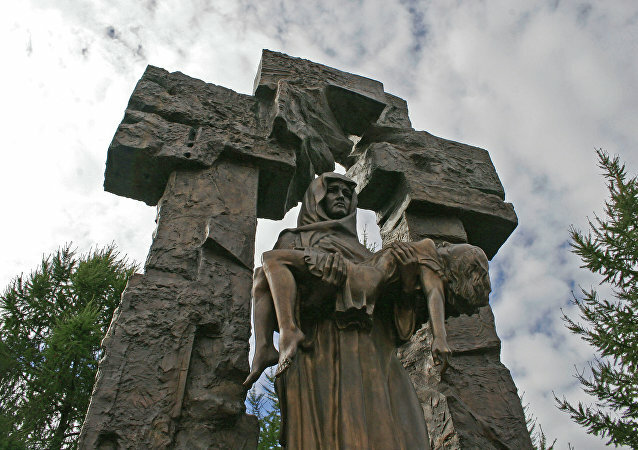 Ten years ago, on September 1, 2004, the small, ordinary, town of Beslan in Russia’s North Ossetia suddenly found itself thrust into the spotlight of the entire world, when its school was invaded by terrorists. In a solemn memorial ceremony on Tuesday, Moscow marked nine years since more than 300 hostages, most of them children, were killed in a school seized by Chechen separatists in the southern city of Beslan. For Boston Suspects, Was Chechnya’s Violent Past a Motive? As investigators hunt for evidence about the Boston bombing suspects, some of their questions – like the American public’s – will focus on Russia’s restive North Caucasus, including the war-scarred republic of Chechnya, a region that has produced a number of violent militant groups, but none that has been linked to terror attacks against the West.